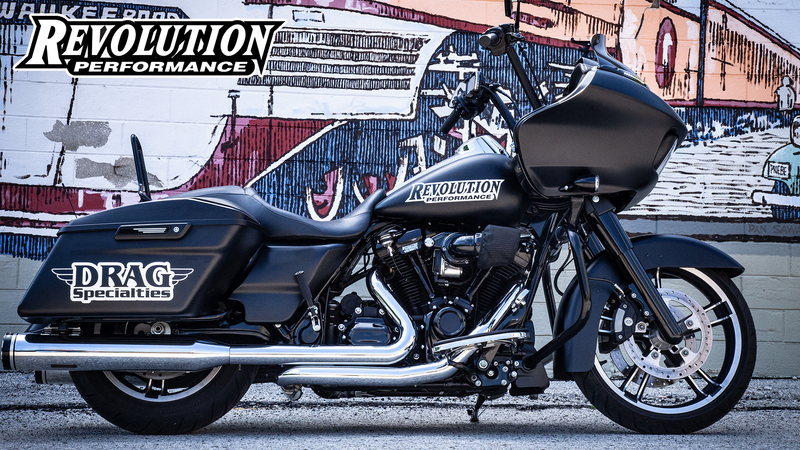 New Revolution Performance Milwaukee 8 Big Bore Kits Available Now! 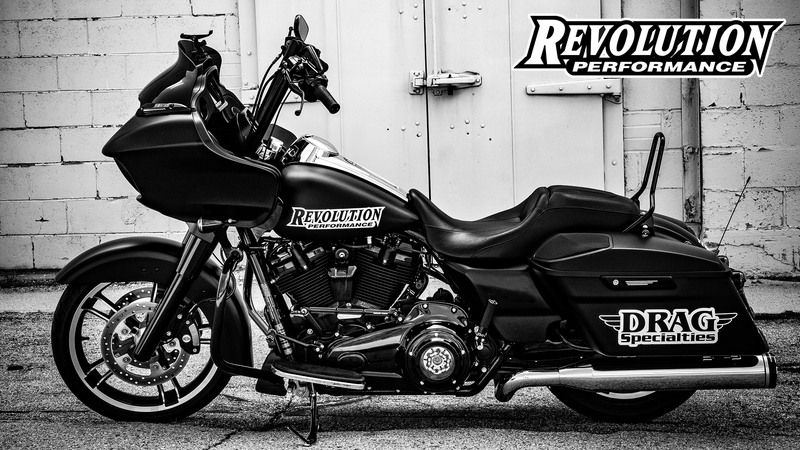 Plymouth, WI – July 2018 – Revolution Performance introduces state of the art, all aluminum, nickel silicon carbide plated, bolt-on 124” (2032cc) Big Bore Kit for Milwaukee 8 powered Harley-Davidson motorcycles! The Revolution Performance 124" Milwaukee 8 Bolt-On Big Bore Kit is the most reliable way to increase power and torque on your 2017-2018 Milwaukee 8 107" engine. Each 124" kit comes with our state of the art all aluminum NSC plated cylinders which last longer and run cooler than the OEM cylinders and can produce as much as 28.4% gain in power and 17.8% gain in torque. - NEW 4.250" all aluminum Nickel Silicon Carbide (NSC) plated cylinders. - Forged 10.4:1 compression ratio flat-top piston kit. 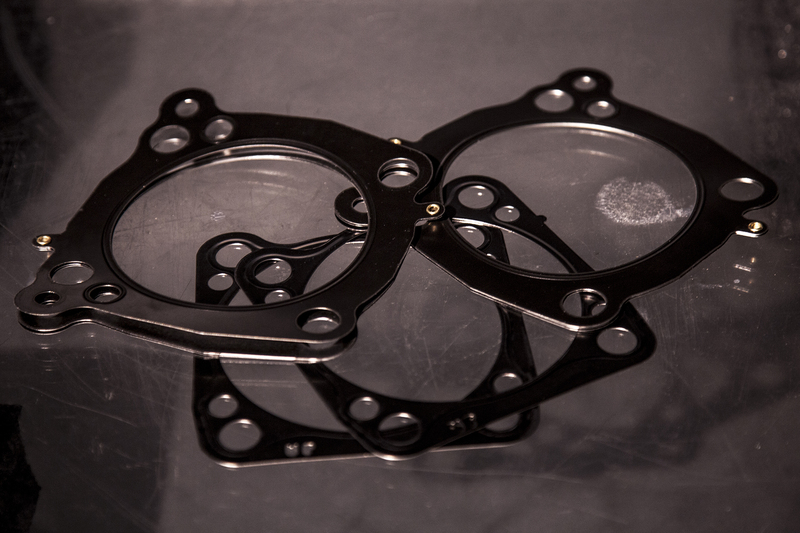 - Cometic head and base gasket kit. The conventional Milwaukee 8 cylinder use an iron liner cast into an aluminum cylinder. Although extremely cheap to produce, cast iron liners have a lot of disadvantages compared to modern cylinder construction. 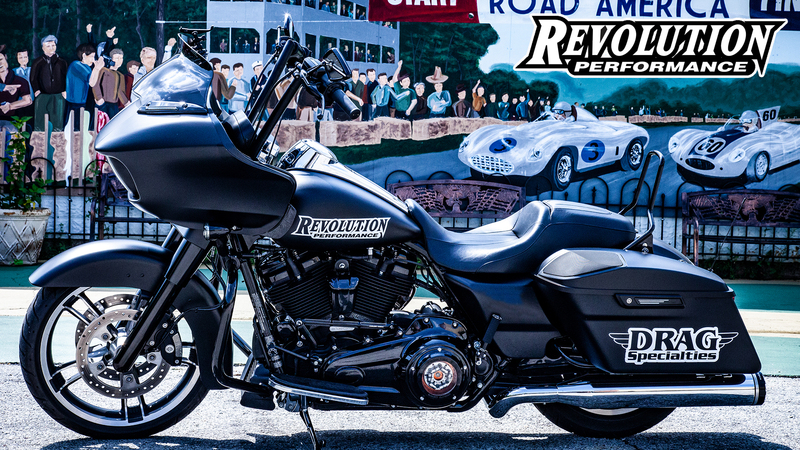 Revolution Performance Big Bore Kits use an all-aluminum cylinder design that utilizes a proprietary nickel silicon carbide cylinder plating process. The plating forms an extremely hard barrier on the cylinder bore. This plating has exceptional wear resistant with excellent oil retention and an extremely low coefficient of friction. 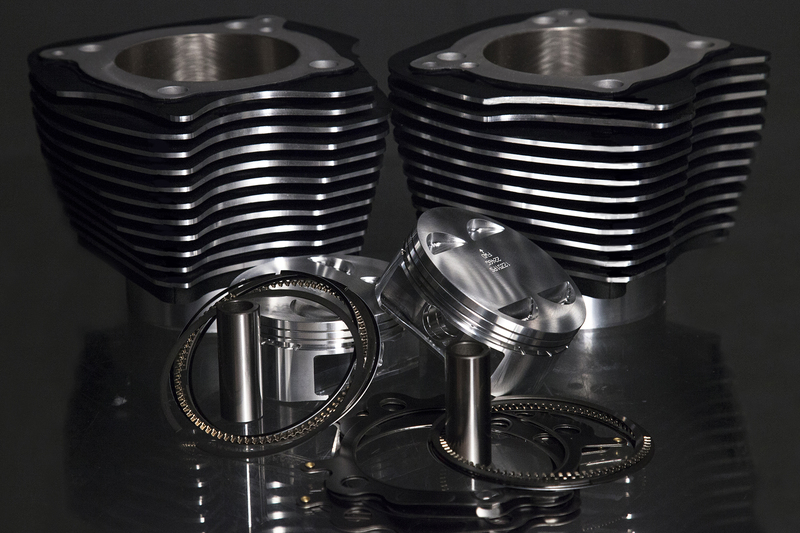 The Revolution Performance cylinder and piston are the same material, so they expand at the same rate when exposed to heat. This means tighter, more precise tolerances can be used and the cylinder will run up to 40 degrees cooler. The result is cylinders that are lighter, more durable, and make more power than a cast iron cylinder. Much more power. 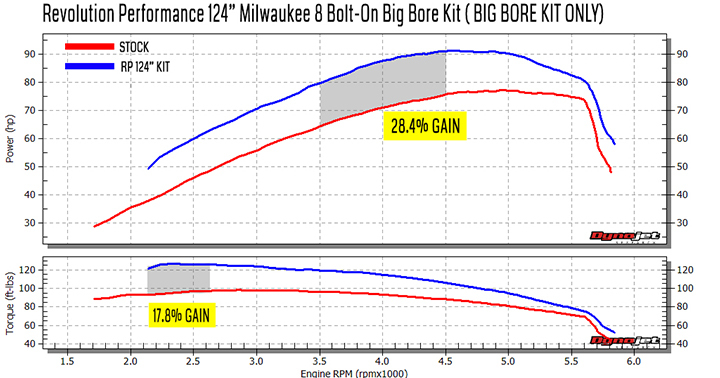 The 124" Bolt-On Big Bore Kit requires no other engine modifications to install but can benefit from our other services like our Velocity CNC Cylinder Head Package. 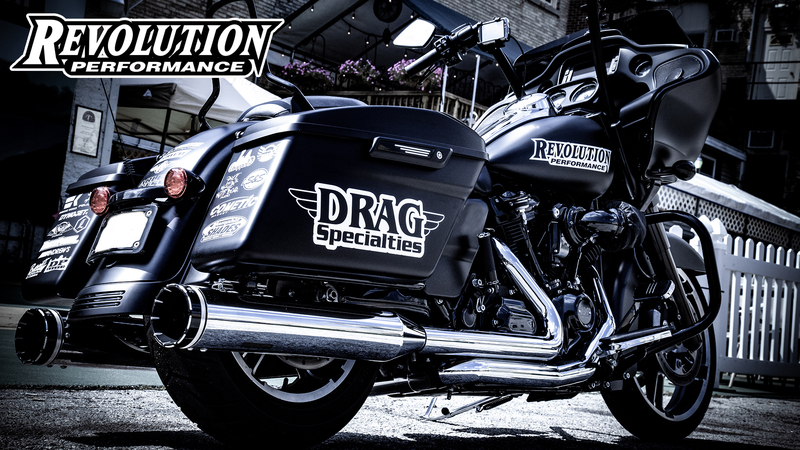 The Revolution Performance Milwaukee 8 Bolt-On Big Bore Kits are available at your local Drag Specialties Dealer today for a retail price of $1299.95. Millennium Technologies is the world leader in Advanced Engine Solutions. 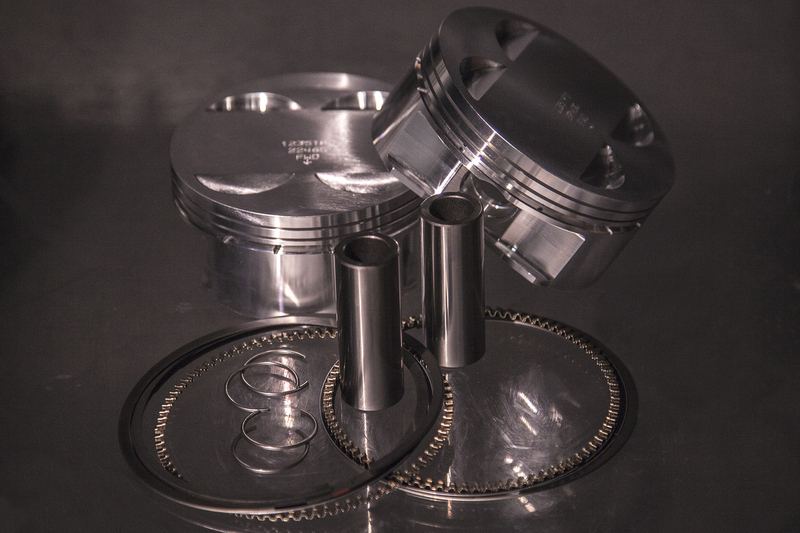 Founded in 1997 as a Nickel Silicon Carbide (NSC) cylinder plating and service company, Millennium Technologies has expanded into complete service solutions for cylinders, cylinder heads, crankshafts, big-bore kits, and supplies parts such as pistons, gaskets, camshafts, and more. Millennium Technologies provides services for all levels of the powersports industry including OEMs, dealers, pro race teams and weekend mechanics. 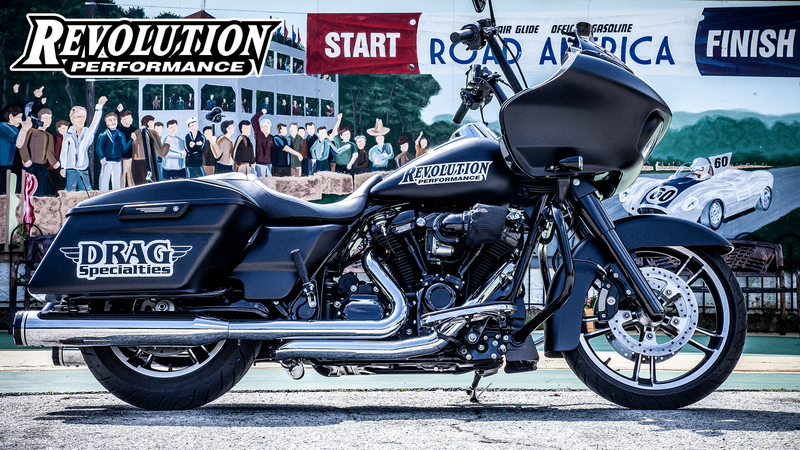 Millennium Technologies is the parent company of Revolution Performance, who provides a complete line of high performance American V-Twin engine parts and services, as well as Ballistic Performance Components, the leader in lightweight lithium-ion starter batteries for powersports vehicles.